Noah Cohen – Featured CEO of Premier Innovations Group / Premier Wine & Spirits. Noah Cohen, an entrepreneur with over 17 years experience in start-up development, founded Premier Innovations Group in 2007 by integrating a strong cultural foundation while developing a team of experts to compliment his sales and relationship driven style. Mr. Cohen assembled the Premier team and developed a master umbrella wine and spirits company fostering vast global relationships for all aspects of alcoholic beverage development. This strategy allowed Premier Innovations Group to move all brand development in-house, enabling the company to quickly grow brand awareness and market share with their private label beverage brands and clients. 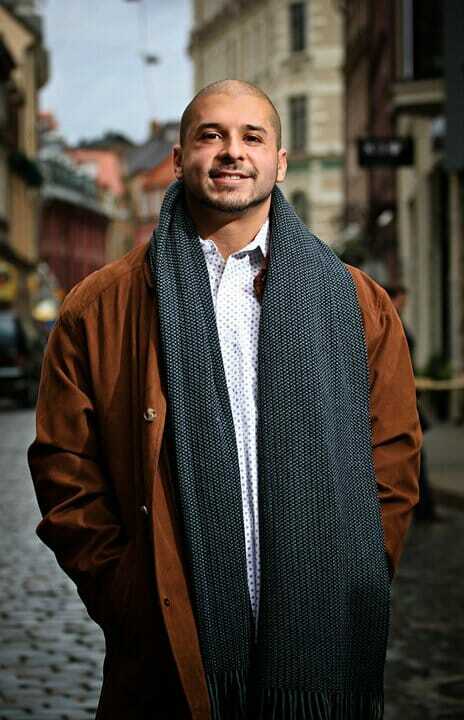 At the age of 37 Noah Cohen based in Pittsburgh, PA has already been involved in the development of over 20 start-up projects in a broad range of industries including technology, retail, real estate, bars and restaurants, chemical products, direct sales, advertising, music, nonprofit philanthropy and entertainment. Mr. Cohen currently runs the day-to-day operations and oversees Premier’s core team of officers while building strong worldwide relationships and connecting people to help them achieve their passion. 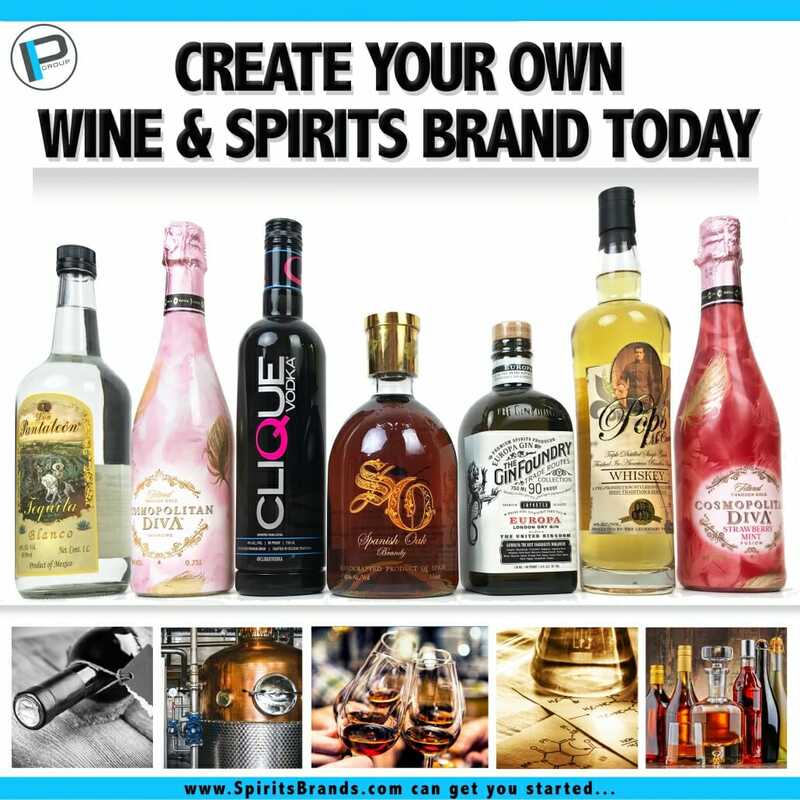 Premier Innovations Group’s dedicated team is now providing a rare opportunity to those looking to develop and launch their own alcoholic beverage brands. Noah Cohen (CEO/Founder) will personally find the best deals for the best quality formulas using the finest ingredients, and Frank (Vice President) is hands on with every project from start to finish, managing every detail of the brand development process. Create Your Own Vodka. Create Your Own Whiskey. Create Your Own Gin. Create Your Own Tequila. Create Your Own Rum. Create Your Own Wine. Create Your Own Champagne. Create Your Own Cognac. Create Your Own Liquor. – Noah Cohen Pittsburgh. 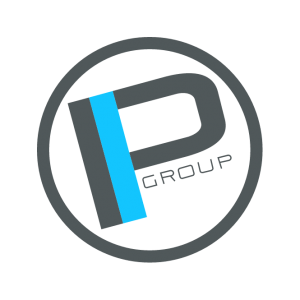 Pittsburgh, PA – Premier Innovations Group, owner of Clique Vodka, and Stewart, Murray & Assoc. Law Group, a DUI law firm, want you to get home safe this New Years Eve. The two companies have formed a partnership, utilizing Yellow Cab, to promote responsible transportation options to get home safely on one of the largest drinking nights of the year. 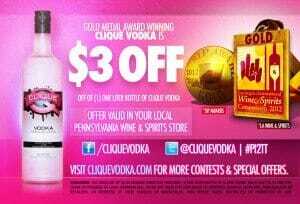 In order to obtain a free cab ride, you will need to call Yellow Cab and request “Clique Vodka, take me home”. The free cab ride will be valid within a 5-mile pick-up radius of downtown Pittsburgh, dropping off no further than 15-miles outside of the city. The cab ride has to be going to a residential location. It will not work from bar to bar. Clique Vodka also owns the iPhone App ‘DrinkyPal’. It is their social responsibility app to get you home safely. Even if you’re not celebrating in Pittsburgh, you can utilize that app nationally to access the closest taxi and/or hotel number to get home safely as well. Premier Innovations Group decided to partner with Stewart, Murray & Assoc. Law Group, as both companies are dedicated to promoting a safe, and healthy New Year’s celebration. Stewart, Murray & Assoc. Law Group believes a law practice must be aggressive in their representation of clients while maintaining that personal compassion which addresses more than just a client’s legal needs. Your individual needs and concerns are important to us and we represent our clients with the knowledge that their case is more than a legal situation, it’s their life. Let us make a difference for you! Pittsburgh, PA (October 4, 2012)—Pittsburgh has been selected as this year’s back drop for the Mylan WTT Smash Hits Tennis event, debuting at the Petersen Events Center on October 16, 2012. This all-star charity tennis event is co-hosted annually by Billie Jean King and Sir Elton John. Over $10.5 million has been raised during the event’s 19-year history. Clique Vodka has signed on as the vodka sponsor for the pre-match Smash Hits VIP Reception and Auction hosted by Allegheny Sports Medicine, catering the VIP reception with custom “Smash Hit” cocktails, as well as, serving up drinks during the match. This year marks the 20th anniversary of Mylan WTT Smash Hits and some of the tennis stars who have signed on to play include Andre Agassi, Stefanie Graf, Andy Roddick, Martina Navratilova, Christina McHale, Taylor Townsend and Samantha Crawford. 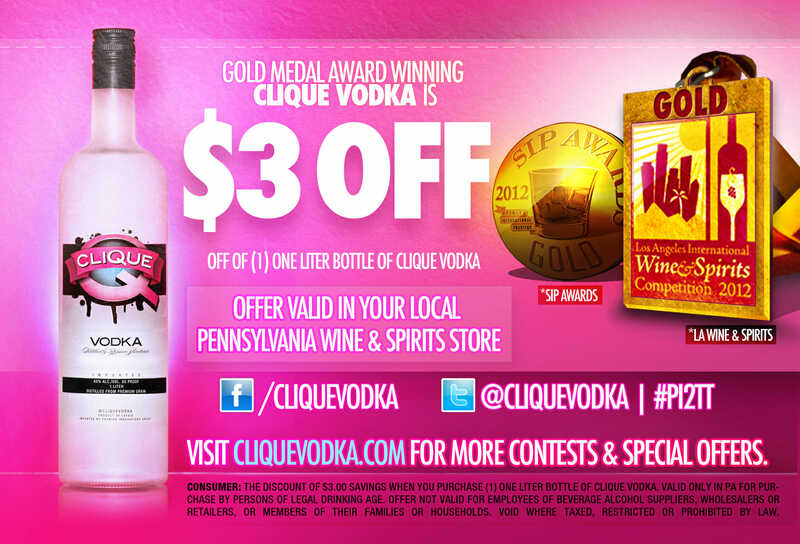 A Gold Medal win at the 2012 SIP Awards solidify Clique Vodka’s smooth, impeccable quality among the top vodka’s in the world during the consumer-judged blind taste test competition. 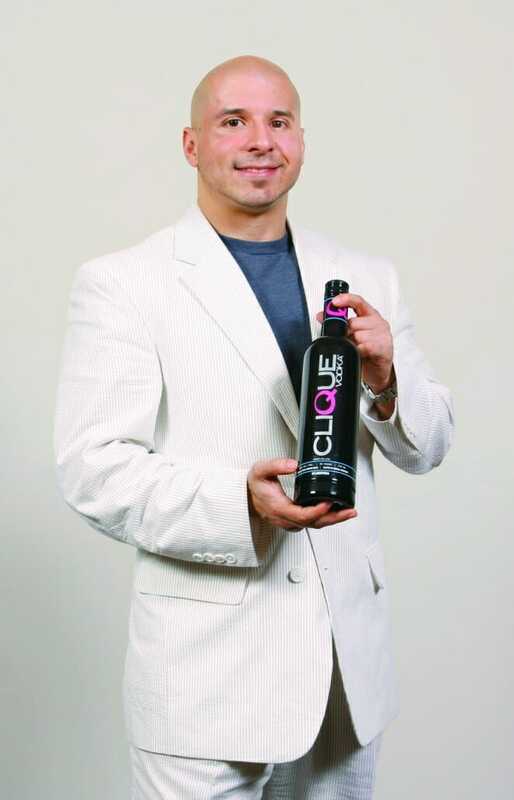 Pittsburgh, PA (August 16, 2012)—It has only been two years since Premier Innovations Group’s first liquor brand, Clique Vodka, hit the shelves. In that time period, the core team based out of Pittsburgh, Pennsylvania has grown the brand by leaps and bounds. 2012 is proving to be a knock-out year for Clique, adding a third award for quality and taste in just five months. The most recent of the three awards is the Gold Medal at the SIP (Spirits International Prestige) Awards International Spirits Competition. This competition is completely focused on the consumer, having them do blind taste-tests and rating spirits in multiple categories. This is the only international spirit competition that delivers the opinions, thoughts and voices of the consumers to the general public. Clique’s first Gold Medal of the year came from the prestigious Los Angeles International Wine & Spirits Competition, celebrating its 73rd year. Annually they see nearly 4,000 wines and spirits from around the globe. An esteemed panel of 100 international judges uses a blind-tasting method, maintaining the highest standards of integrity and professionalism that has remained the competition’s foundation for seven decades. Winning the Silver Medal at the San Francisco World Spirits Competition was a reputable way for Clique to start off 2012. With this being the oldest, largest and most recognized competition in the spirits industry, it has solidified the brand as a true competitor in the vodka industry, taking market share from some of the best known brands in the world. Clique Vodka is intricately crafted in the Baltic region of North Eastern Europe by fine vodka artisans in the country of Latvia. Clique combines Russian production standards of distillation and the highest level of Russian equipment. The natural spring water of the vast Latvian forestry sets Clique apart by enhancing the vodka’s body, texture and smoothness. Clique combines amazing Russian quality and tradition with natural artesian water of Latvia and the finest premium wheat grains grown in Europe. The end result is a product that cannot be matched in quality and smoothness anywhere in the world. With its alternative imagery, Clique vodka boasts an incredible value along with a super premium quality at only $15-18 per bottle.